I guess the best place to start this blog is to describe what a Dutch oven is and what it’s used for. Since many folks have little knowledge of the Dutch oven let’s then assume you don’t own one. First, lets let’s describe what Dutch oven is. 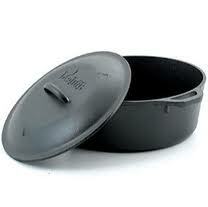 Think of a heavy cast iron stock pot with a cast iron lid and you’re pretty close to what it looks like. Q. Why do some have legs, others none and some have lids with raised rims on them and others not? A. That’s because there are ‘indoor’ or flat surface and outdoor Dutch ovens. Q. How does a Dutch oven work? A. Think of your oven at home. It is a self contained total surround cooking area. 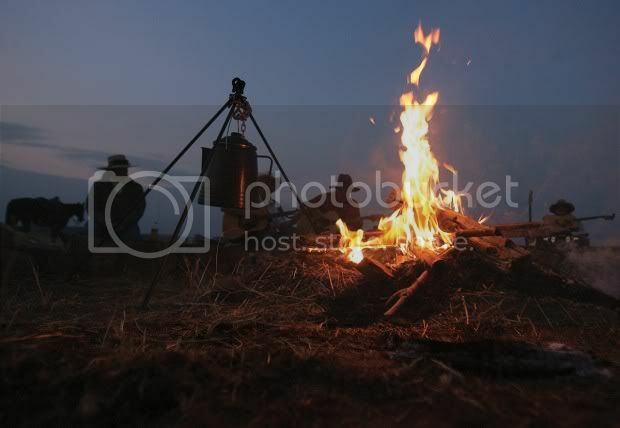 A Dutch oven works in a similar fashion. Being able to have its bottom, sides and top radiating heat from all places at once, the food inside is cooked from all directions in an equal temperature. Thus the reason it is called an oven. Note the legs, lid dimples, raised lid rim to hold hot coals and the handle on this outdoor Dutch oven. Legs are handy if you’re cooking outdoors on an open fire. Hot coals can be bunched up underneath and having three stubby legs gives it a pretty solid stance on a not so level surface. Outdoor style Dutch ovens usually have a lid with a raised lip on it. That one inch lip allows you to place hot coals on its lid without the coals falling back into the fire or the insides when you lift the lid to check on the food inside. The coals underneath and on those placed on its top is why the Dutch oven is called an oven and not a pot. It is one of the few true baking tools that don’t need an oven. (Cast iron skillets with a lid can bake but need to be placed inside an oven for even heating). An outdoor oven should not be used indoors. The legs will prevent the bottom from being heated if you have it on top of an electric stove. 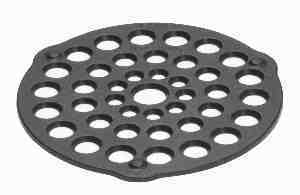 On a gas stove, the burner grate will get in the way of the legs and it can tip causing spills. Typical flat bottomed indoor Dutch oven with rounded lid. Note the handles are made to accept a hanger. 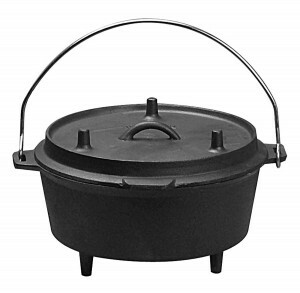 Before purchasing your Dutch oven, read the earlier post here on cast iron cookware. Then, before throwing your cash or credit card at the sales clerk inspect the thing! Look for loose fitting lids, or lids that are not completely flush with the edge of the pot section. Check for uneven wall and lid thickness. An uneven casting will not cook evenly. Most good ovens have a wire bail handle attached to the pot section and a loop handle on the lid for easy lifting. Many newer ovens no longer have these, forget it and look for another one that does. The finish should not be extremely rough, especially on the inside and free of any scaling. All the casting seams should be ground smooth without any sharp edges. Lastly, examine the origin of the Dutch oven. Foreign imports for the most part, use a lower quality of cast iron and have more defects than domestic ones. 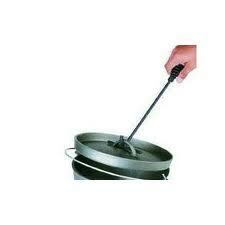 In my post on cast iron cookware, I go into this in more detail, I recommend you read it. I highly recommend you search for all of your cast iron cookware including your Dutch oven, at antique dealers, estate sales, yard sales, rummage sales … anywhere that you have the possibility of finding older American made cast iron cookware. While visiting my daughter in AZ this summer, I stopped at a number of “old west thrift stores” and “miscellaneous vintage” roadside sales places. There I found incredible deals on some of the finest cookware American foundry’s ever produced. I Found names like Griswold, Miami, Wagner Ware, Wapak, Herters, G Barthel Norma, Lesauveur Rechaud Pigeon, Scranton Stove Works, Lodge, Western foundry and Stover. Any of these cast iron cookware implements would be a honor to own and cook with. 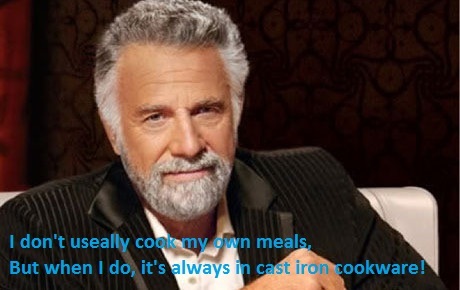 OK, you now own and / or have re seasoned you your cast iron cookware. What else do you need to compliment it? Gloves. Many folks go and buy leather work gloves. I never recommend leather for this reason alone. Once leather gets heated to a certain point, it transfers that scalding heat quickly to your skin. Now I am the furthest looking thing from being a sissy. 6’2”, nice western bow mustache, 270 pounds and an evil eye that at a cutting glance can punch new holes in leather belts when needed. So naturally my ire was hefted a bit. Not two minutes later he set his down, ripped off his leather glove and wrapped his hand around a ice cold soda can from his cooler. I not only continued to hold onto my skillet but moved my hand from the handle to the actual sides of the pan and held it up to him while smiling. He got the idea, I got fifty bucks! Another thing you need is a lid lifter. Anyone who’s ever cooked on an old wood cook stove like mama had, knows you never touch a stove tops ‘eye’ without a lid lifter. The same goes for pot lids. A trivet is also good thing to have. 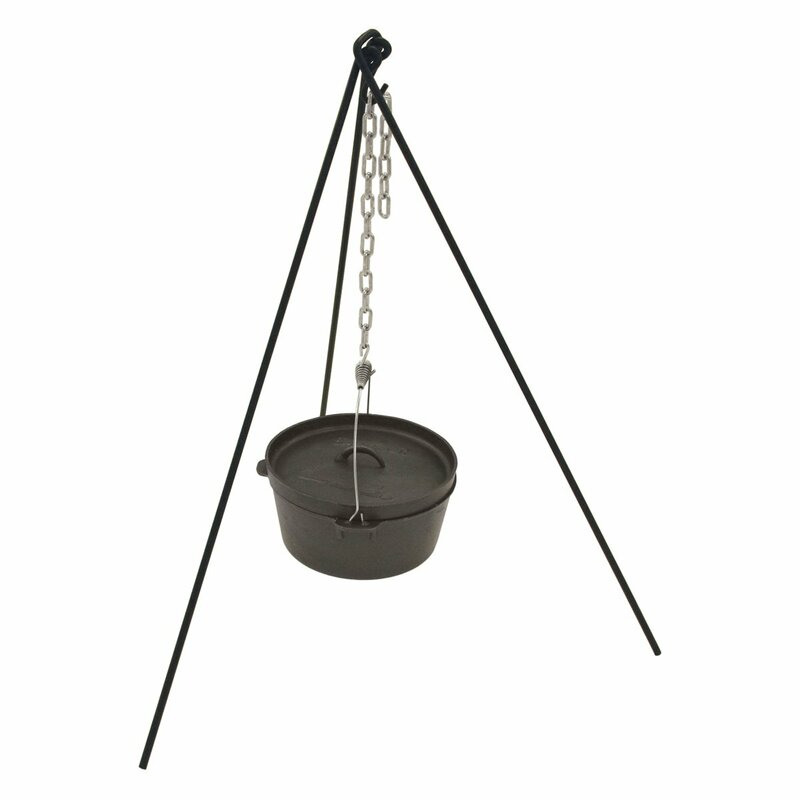 It’s a cast iron circle with nubby legs on it to set your hot pots on. It prevents leaving burn marks on your counter tops. Lastly, get a good strong pair of long handled tongs. I’d recommend getting them at a restaurant supply house or online at a supply site. Forget those ones in the grocery store, they’re too cheap. How to get the right temperature to cook with. A fellow cast iron aficionado has a web site that explains it better than I can, so I went ahead and copied his method to explain all this to you. “On the kitchen oven is a really cool dial. I turn it to 350 and trust that the oven will heat up to and remain at 350 degrees. I put in the food, set the timer, and go do something productive. When camp cooking in the outdoors, there’s a bit more hit-or-miss. On my Dutch oven, there’s no dial, nothing to tell me how hot the oven is. Since cooking food at a fairly consistent and known temperature is important for success, there are 3 ways I know of for estimating temperature. Depending on your skill level and how you’ll be cooking, one of them should work for you. “Use your hand to feel the heat. Of course, every person has a different sensitivity to heat but this works well for me. Just remove the lid from the Dutch oven and place your hand just above or just inside the oven. Count how many seconds you can keep your hand there before it gets too hot. It is about 50 degrees per second counting down from 550, so I just count – “550, and 500, and 450, and 400, and 350, and 300, …”. The normal formula is to use twice the number of briquettes as the diameter of the oven. For a 12 inch oven, you would use 24 briquettes. Depending on the type of cooking you are doing, you need to make the heat come more from the top or bottom of the oven. For example, too much heat on the bottom will burn bread. Baking Most heat from top so bottom does not burn. Place 3/4 coals on top and 1/4 underneath. Roasting Heat comes equally from the top and bottom. Place 1/2 coals on top and 1/2 underneath. Stewing, Simmering Most heat is from bottom. Place 1/4 coals on top and 3/4 underneath. Frying, Boiling All heat comes from bottom. Instructions: Heat Dutch oven to 400 degrees with 3/4 of coals on top. Turn out on a lightly floured board and lightly knead for 30 seconds, enough to shape. Roll 1/2 inch thick folding the dough over on itself at least four times and cut with open end of tomato paste can. * For these or any recipes, remember to write down in a log book all your temp and time settings or changes to a recipe for future use.